Green agate gemstones, this green agate stone may assist you to correct imbalances between the two sides of the brain, and it is a quite spiritual stone. Green agate meaning :green agate is a gemstone that has a meaning and properties of adjusting the energy balance. It has been believed for its power to balance Yin and Yang. ... It is a gemstone that can make a condition with the least stress for the owner. Green agate is a gemstone that has great healing power. We normally produce many colors agate slabs, green agate stones, if you prefer any other colors, you can contact us for details. Agate is full of bright and fantastic colors and atmosphere. 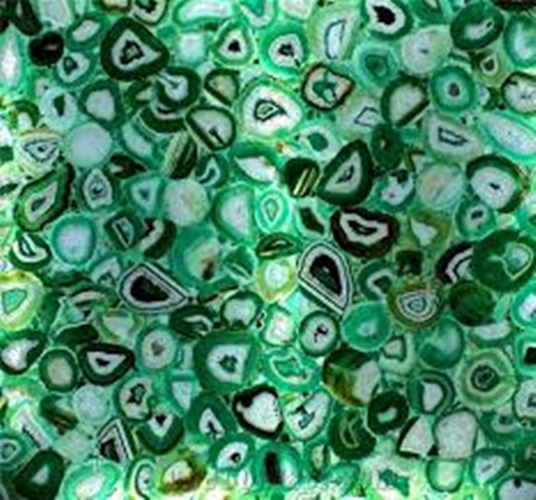 This nature green agate with white lines in the middle is suitable for home walls , kitchen countertops, bar design. 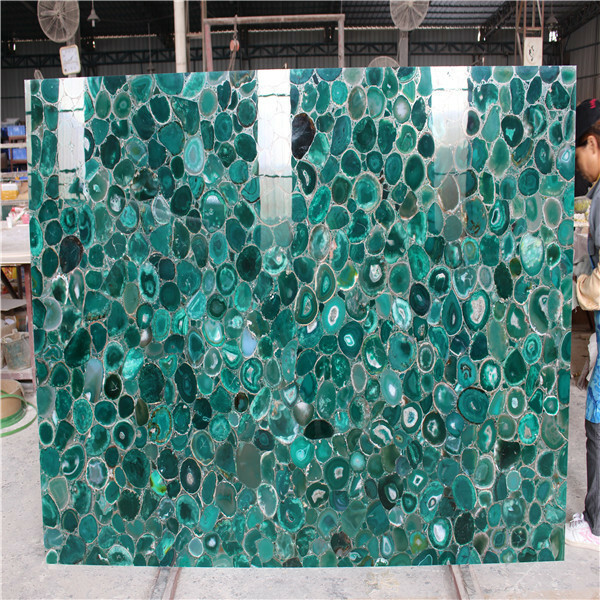 Agate stone slabs series – Green agate stone slab, surface finish is polished, we offer many kinds of colors: blue , black ,yellow, red, purple ect. Slab size normally 240*120*2cm,thickness is 2cm (normally 0.5cm green agate +1.5cm natural commercial stone or artificial stone/glass/Acrylic); max size can be 300*180cm.Mainly being applicated like wall tiles, floor tiles, table top, countertop-..
For green agate price, please consult with HR STONE which has green agate slabs for sale. Agate stone slab with various color, welcome to contact us for details. What kind of semi precious stone products we can produce?